A couple of weeks ago, our CLZ Cloud (and Music Connect) has been updated with 8 more fields and loan information. Today’s version 18.3 now supports the syncing of all these new fields and your loan information to the CLZ Cloud and your CLZ Music mobile app! Heads up: after updating to version 18.3, the software will automatically mark most of your albums as “changed”, to force the upload of your data for the new fields to the CLZ Cloud. New versions of CLZ Music for iOS and Android will be available in the coming days to allow the new fields to be synced there too! A couple of weeks ago, our CLZ Cloud (and Music Connect) has been updated with 8 more fields and loan information. Today’s version 18.4 now supports the syncing of all these new fields and your loan information to the CLZ Cloud and your CLZ Music mobile app! Heads up: after updating to version 18.4, the software will automatically mark most of your albums as “changed”, to force the upload of your data for the new fields to the CLZ Cloud. CLZ Music for iOS and Android will be updated in the coming days to allow the new fields to be synced there too! [CLZ News] CLZ Music 3.0 / Core for Movies / What’s New in Connect? Despite the current heat wave in the Netherlands, the work on all our cataloging solutions is continuing. The final 3.0 app for Android is live: CLZ Music! Report movie data errors and missing movies to Core. New: “What’s New” blog for Connect & the CLZ Cloud viewer. What’s cooking? This is coming up next month. This week, Apple released iOS 7. And we’re happy to announce that all CLZ apps are now fully iOS 7 compatible! 2.1 updates of CLZ Comics, CLZ Music and CLZ Books! 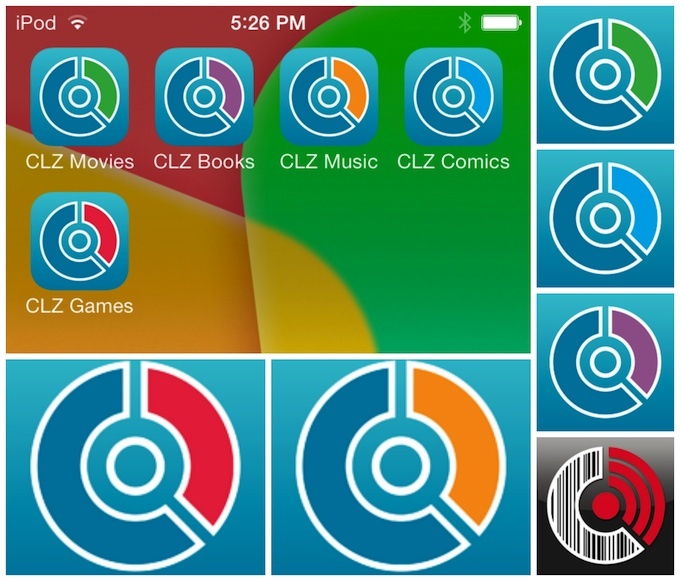 Do you own CLZ Music for iPhone, iPad or iPod touch? Do you own our CLZ Music app for iPad, iPhone or iPod touch? get your free upgrade to the upcoming CLZ Music 2.0 version. the long awaited adding, editing, barcode scanning and 2-way syncing features. precise: the existing iPhone app will be transformed into this universal app. Android Market $0.99 deal extended to October 31! Last week, we released version 1.1 updates for all CLZ data viewer apps. are *only* available through the Android Market. If you originallly bought your app(s) via the shop on the Collectorz.com site, you can switch to the Market edition for US $0.99. This deal, originally planned to end on October 2, has now been extended to October 31! or just search for “collectorz” in the Market on your device itself. “Package file was not signed correctly”. We have just released version 1.1 updates for all our Androids apps. These 1.1 updates are *only* available in the Android Market. If you originally purchased your Android app(s) via the Android Market, then you can just use the Market on your device to update to v1.1. However: if you original bought your app via the shop on the Collectorz.com website, you will have to re-download from the Market to get version 1.1. Read on for more details about this.